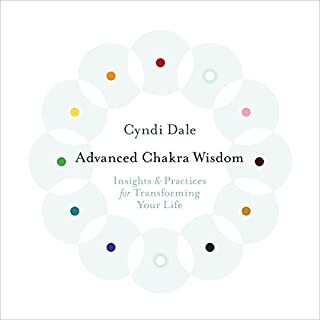 If you're into chakras, this is for you. Sound therapy has been found effective in treating a surprising range of health challenges, including heart disease, arthritis, stress, emphysema, and more. 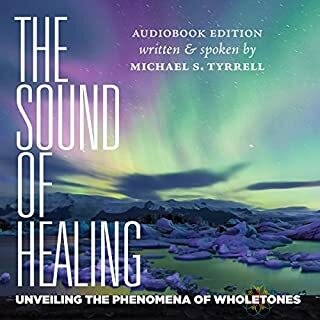 In Self-Healing with Sound and Music, best-selling author and physician Dr. Andrew Weil teams up with sound therapist Kimba Arem to offer listeners a powerful new tool for healing in two sessions. Could meditation and prayer affect the healing process? How do acupuncture, homeopathy, and healing touch work? Is it possible that the energy in our bodies is connected to the unlimited energy of the universe itself? Over 20 years ago, when physician Richard Gerber began to investigate the new frontiers of healing, he met with skepticism. Today, his groundbreaking views on alternative healing systems have entered the corridors of our major hospitals and research centers. On Exploring Vibrational Medicine, Dr. Gerber builds on his pioneering work with a wealth of new and rare insights into the most promising energetic healing therapies. 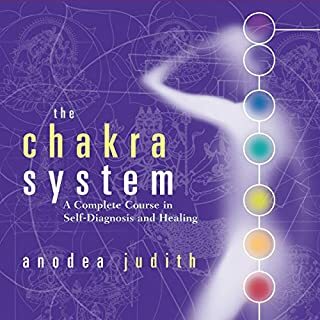 Through study after fascinating study, you will hear about new findings on unique frequencies emitted by the human body, compelling evidence that proves we are composed of pure energy, how chakra points and acupuncture meridians draw energy from outside systems, and much more. 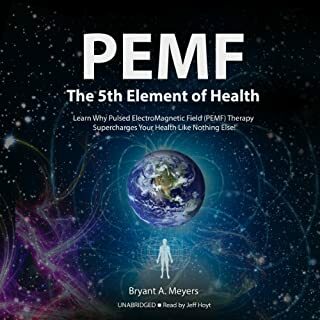 Exploring Vibrational Medicineis a revolutionary work about the oldest and newest discovery in medical science, the power of the body to heal itself naturally. I am a internal medicine physician who has been practicing for over 18 years. I have been skeptical of alternative medicine - especially since I primarily practice acute hospital medicine, but since I personally have experienced illnesses and have seen the benefits of acupuncture, I have opened my mind and knowledge to other treatment modalities. This book is an excellent and straight forward sketch of the structure and philosophy behind alternative medicine. It really should be a mandatory reading for all medical schools. Well narrated. 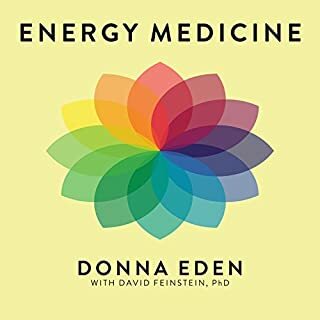 Where does Exploring Vibrational Medicine rank among all the audiobooks you’ve listened to so far? Exploring Vibrational Medicine is one of the greatest reads I have had the pleasure to listen to, twice. The information within was extremely stimulating, well articulated and thoroughly researched. Science, philosophy, physics, and theory-- this listen is for the intellectual reader looking for something that speaks the complex language. 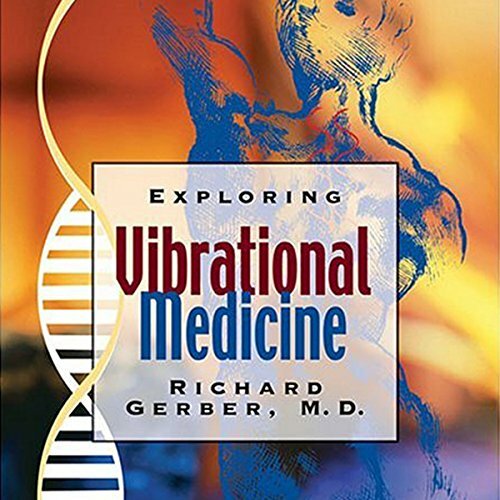 I read Dr. Richard Gerber's book Vibrational Medicine: New Choices for Healing Ourselves about 20+ years ago after my mother, a homeopathic doctor, gave it to me to read. I went on to become a naturopathic medical doctor and found the events of my life and my quest for an understanding of existence teaching me and leading me through many painful yet illuminating experiences which directed me in the path of love and, as a result, some of the most profound, spiritual and enlightening experiences I could've imagined. Listening to Dr. Gerber narrate this audiobook version was extremely gratifying. I was able to see with new eyes and hear with new ears the understanding and perspective of the topics he addressed in his printed book, which have become an integral part of my life over the past decades. Magical, miraculous and enlightening. Thank you! I am a Nurse Practitioner myself who have experienced divine interventions in many occasions that can only be explained from a spiritual perspective I call God. To impart this to other medical practitioners is like speaking another language many refuse to acknowledge or accept as having merit. So to me, this entire book was a God-send, confirming what I already knew but adding even more credibility. Thank you for speaking out and embracing such a controversial subject! There were times I felt I was listening to my own professional biography. This book should be read by anyone in the healthcare field. Also, it wouldn't hurt to print this information in pamphlet format for the public. At first, I was a bit put off by the author also starring as narator, but then realized that it wouldn't be nearly as impactful if you could not hear the inflection in his voice. By the way reader, the 'Heart Meditation' works as described. If you could sum up Exploring Vibrational Medicine in three words, what would they be? I so enjoyed this book. The material was excellent and the speaker was very clear and concise. I highly recommend it! I'll be going back to this again and again. Life is all about energy and Dr. Gerber shares this discussion in a most fascinating yet simple way that provides amazing hope not only for health but overall wellbeing. He covers many topics on energetic healing and simple methods to effect healing in our own lives as well as the lives of others What a gem. 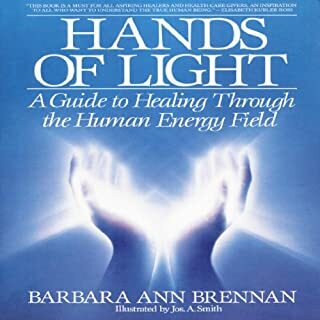 I feel a lot of gratitude that an MD wrote about energy and vibration with examples and research that support what can be progression in medical treatments and especially medical education. listen and then apply the principals thoroughly, this is of utmost importance that we learn how to describe and discuss these principals with both left and right brain individuals and that we integrate our fields of medicine on this earth. I command thee to listen! Hear it from the expert: a comprehensive approach to illness and different healing modalities and paradigms explained in a very clear and succinct way. Loved this book, so educational. It tries to tie things back to the systems that we currently know and understand which has helped me immensely. Inspiring read...left me intrigued to explore vibrational medicine a whole lot more..highly recommend this book. Would you listen to Exploring Vibrational Medicine again? Why? Brilliant the narrator knew everything about the subject in depth and was very accurate with the wording. The subjects were well thought out. What about Richard Gerber’s performance did you like? All the book was worth taking time over as some of the book was very deep in depth as regarding the subject matter. Taking time does help one chapter at a time is needed. I have owned and loved this book for years, it is even better to hear Richard speak. The content in this book interesting and informative. The future of modern medicine.